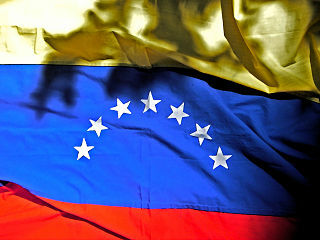 The situation in Venezuela is unpredictable. There is great uncertainty about what will happen in the coming weeks or months. Does President Maduro remain in power or does the opposition leader Guaido take the lead? U.S. Vice President Pence delivered a clearly statement to Venezuelan opposition leader Guaido:” We are with you,100 percent. The U.S. will provide an additional $ 56 million aid to Venezuelan citizens and the U.S. Treasury Department would be imposing ‘stronger sanctions’ on the Maduro regime’s corrupt financial networks.” White House national security adviser Bolton said in an interview recently “I think momentum is on Guaido's side. Reports in the press that the military hasn't shifted, miss the point entirely. Two world powers are involved in Venezuela’s future, Russia and the US. Russia has major interests in the country, oil and weapons. Maduro accuses U.S. government of provoking a crisis to justify political escalation and a military intervention in Venezuela. In the mean time, there are big problems in his country, there’s hardly electric power and there is less food. It’s chaos in the country. What is the vision of US? White House national security adviser Bolton said in an interview recently “I think momentum is on Guaido's side. Reports in the press that the military hasn't shifted, miss the point entirely. They have not sought to arrest Guaido, I think the reason for that is that Maduro fears if he gave that order, it would not be obeyed." “The U.S., along with 50 other countries, have backed Venezuela’s self-declared interim president Guaido, who’s leading the opposition movement”, said Bolton. "The fact is, and the media don’t know it because people don’t talk about this, there are countless conversations going on between members of the National Assembly and members of the military in Venezuela; talking about what might come, how they might move to support the opposition. They’re not going to broadcast that." Bolton also mentioned that President Trump has made it clear to President Maduro and those around him, 'all options are on the table’. Is it certain that President Maduro power is coming to an end? Bolton, the National Security adviser of President Trump thinks that he’s not certain of everything. "I think the overwhelming support of the population and the overwhelming support of the enlisted personnel in the military and the junior officers is for Guaido. We’ll see what happens." Maduro gave recently an interview to ABC News. He said that he fears the people around Trump, including Bolton, who he called ‘an extremist and expert of the Cold War’. "I think these people surrounding President Trump and advising him on Venezuelan policies are bad. And I think that at one point, President Trump must say: stop, stop, we have to see what happens with Venezuela” and change his policy." What about the vision of Russia? Maduro is fighting to save the political system he has built, with Russian support for two decades. His catastrophic economic mismanagement has led the opposition to claim the country’s leadership with the support of the U.S., the European Union and, most South American nations. Maduro’s predecessor, Hugo Chavez poured billions of dollars into Russian weapons and machinery and the Russians have major oil interests in Venezuela. But behind the scenes, Russia's economic and political elites are becoming increasingly divided on how best to preserve their interests. As President Maduro and the opposition leader, Guaido, settle into a war of attrition, the Kremlin faces a stark choice: to double down on its ally or to be among those who choose his successor. The path President Putin takes will help determine whether Venezuela peacefully changes government, slides into civil war or consolidates as a repressive pariah under Maduro. Russia’s global image and weight are at stake in Venezuela. The initial shock and fear in Russia that they would lose everything in Venezuela is being replaced by the possibility that they can become part of a negotiated transition and ensure their interests are respected. These interests range from Venezuela oil projects and military contracts held by Russian state firms to the geopolitical value of having an anti-American ally in the Western Hemisphere. In public statements, Russian Foreign Ministry officials have gone in the past few weeks from unequivocally supporting Maduro to offering to mediate negotiations with the opposition or hold talks on Venezuela with the United States. Venezuela has largely disappeared from the saber-rattling talk shows of Russian state television. The threat of US sanctions has scared away, most Russian corporations still doing business in Venezuela. But Russia’s second-largest oil producer, Lukoil, said last month it had stopped trading Venezuelan oil; the state-run Gazprombank has stopped opening new accounts for Venezuelan clients. Even small-time orchid importers have left the country. A 1.5 billion dollar Kalashnikov machine gun plant built by the state-run RosTec in Maracay, meant to symbolise Russia and Venezuela’s military cooperation, remains an empty shell 12 years after the start of construction. Conditions in Venezuela are terrible, and the government has to change, said a person involved in the RosTec project, who spoke on condition of anonymity. The Trump administration has repeatedly said that all options are on the table to force Mr. Maduro’s exit, including military intervention, a specter that has split Russian policymakers. On one side are pragmatic technocrats and career diplomats who believe President Maduro’s disastrous economic performance makes his government unsustainable. Russian diplomats have reopened channels with Venezuela’s opposition after a brief halt following Juan Guaido’s proclamation, according to opposition leaders and people close to the Russian Foreign Ministry. In my opinion Russia wants to have a say in who comes next as leader in Venezuela, but the U.S. and Russia have to go to the negotiating table.